To large had to return. 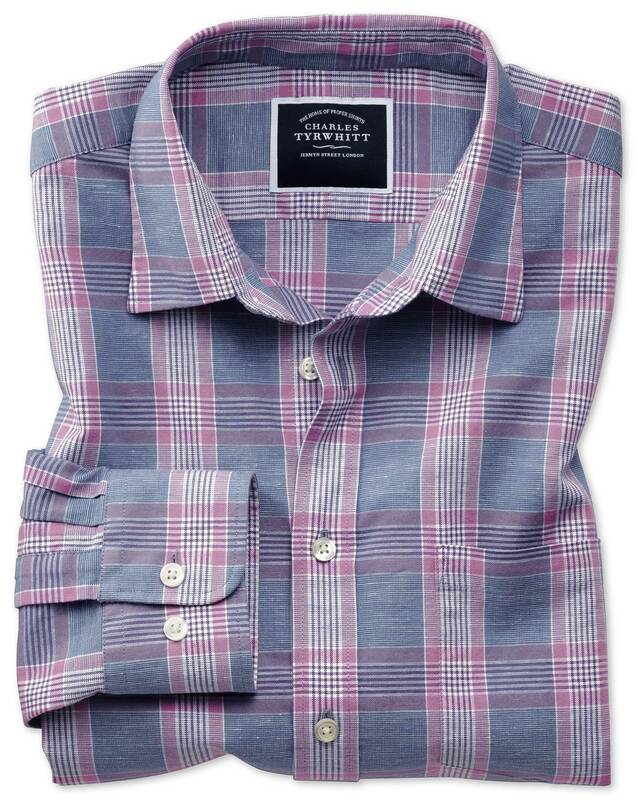 Response from Charles Tyrwhitt: I am sorry to see this particular shirt was too large for you. It's certainly a shame you haven't been able to enjoy it as a result, but thank you for your feedback and for returning it to us promptly We've provided a refund and I was glad to see you have now placed a new order. I trust the replacement shirt fits perfectly and will be thoroughly enjoyed! Lovely stuff and great quality. All is good at the moment, until you falter. Just keep up with your delivery agreement then everything will be good for your company. Unfortunately, it did not suit my partner therefore I returned it. More costly because I bought two pair of summer trousers.